After previously hosting the Supreme wall in Sneakerlah 2018, The Fourheads have decided to pack up shop and move to a new, location, right smack in the center of Kuala Lumpur. The new shop takes inspiration from the usual Supreme store layout, meaning clean lines, minimal furniture that hosts only what’s necessary, and clean, white installations on a smooth cement floor. 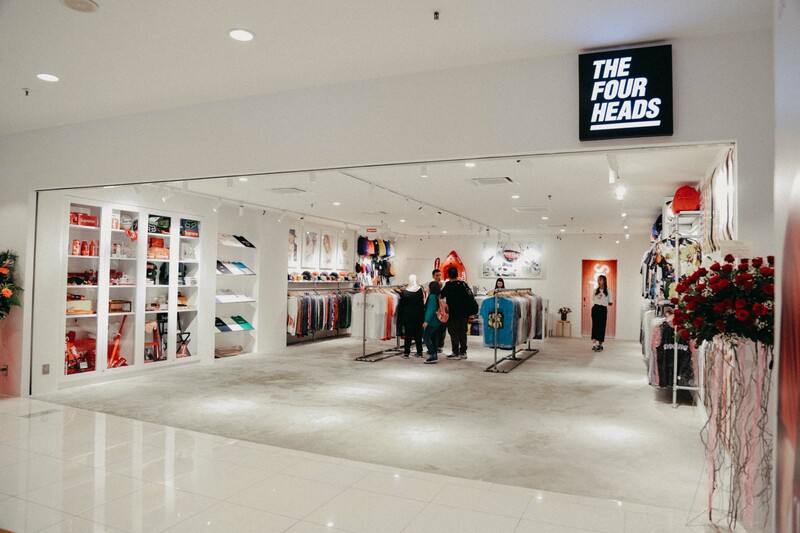 The Fourheads’ stock is very much up to date and stores a multitude of skate brands, though primarily what the eye catches first is the abundance of red stocked up on one side of the store featuring an almost complete set of Supreme accessories. Palace Skateboards apparel also make an appearance, neatly folded and displayed on a dedicated rack. A deck wall complements the other wall opposite the accessories cupboard; featuring complete collections of decks from each drop. You definitely won’t be hard press to find all things Supreme here, and whatever you may need to complete a collection, you know where to go for your plug.